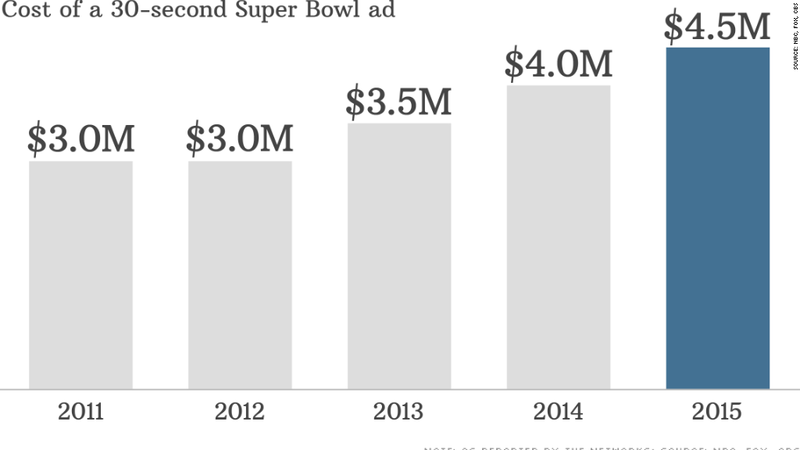 TV ad sales slowdown affecting the Super Bowl? An industry-wide slowdown in television advertising sales is even affecting the biggest ad stage of them all: the Super Bowl. But don't feel too bad for NBC, the broadcaster of this winter's big game. The network is charging $4.5 million for a 30-second commercial during the game, a sharp uptick from the roughly $4 million that Fox charged last season. Even at that price point, the network has found plenty of buyers: nearly 90% of the spots have already been taken, according to Seth Winter, the executive vice president who is overseeing the ad sales. In a round of interviews this week, Winter said NBC could be fully sold out by the end of December. The Super Bowl will be played in Arizona on February 1. So what's the catch? Well, as Winter said to USA Today, "we are not impervious to general market trends." Lately there's been ad weakness across the board, and it's been affecting both broadcast and cable channels. Instead of the typical (slight) year-over-year increases in spending by advertisers, slight decreases were reported by most major media companies in the third quarter -- about half a percentage point overall, according to Michael Nathanson of the research firm MoffettNathanson. Earlier this week Nathanson called national ad trends "bleak" and "a sign of more trouble ahead." NBC's Winter told USA Today, "We all understand the market this fourth quarter is slower and less healthy for broadcast and cable TV." 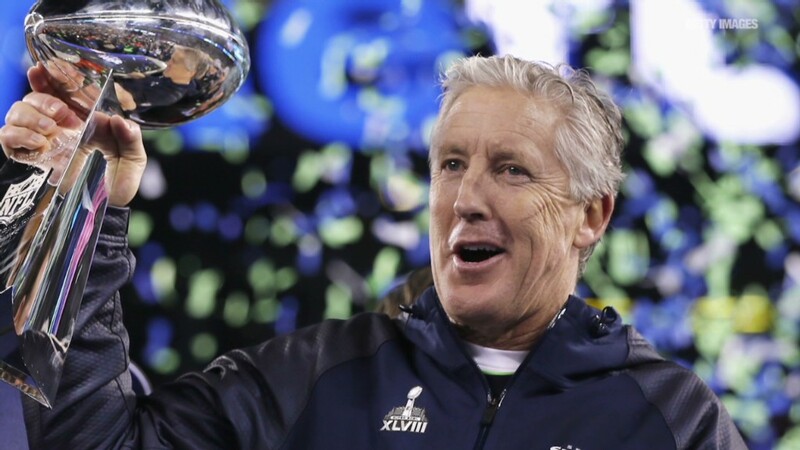 For comparison's sake, Fox had sold 95% of its available Super Bowl ad time by September of last year. Now it's November, and NBC is "approaching 90%," Winter told The New York Times. Companies are waiting until closer to air to buy ad time -- or, as Winter put it, "seeking extraordinary flexibility in how they manage their budgets." That's not necessarily a bad thing -- NBC might be able to charge a premium, above the $4.5 million mark, if an advertiser asks for an almost-last-minute Super Bowl spot. But at the moment, the fact that there are still some spots available is a symbol of the slowdown that NBC and all its rivals are experiencing.